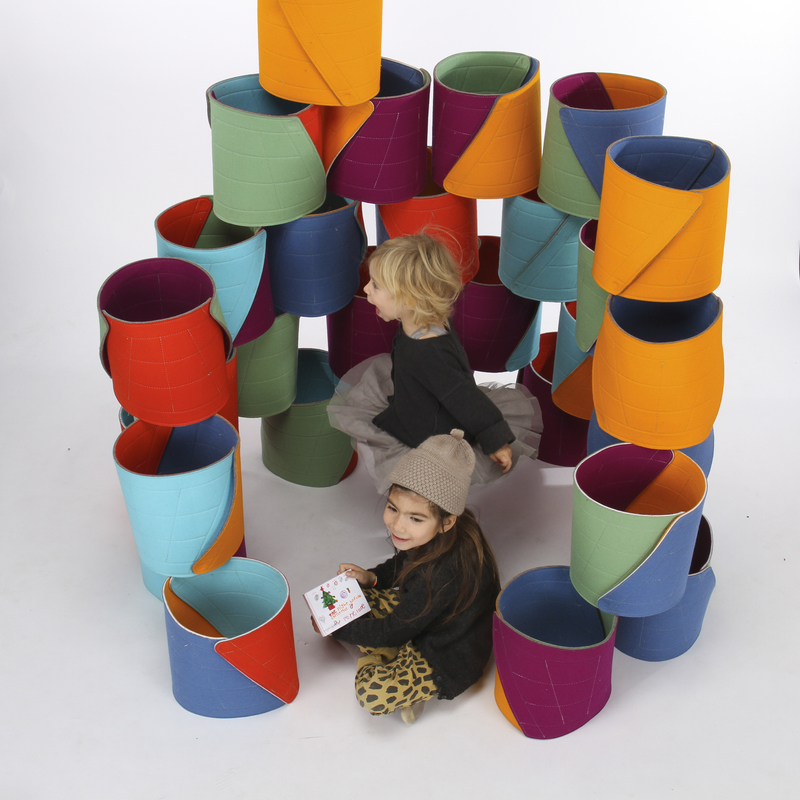 Create, build, and play with Feltro! 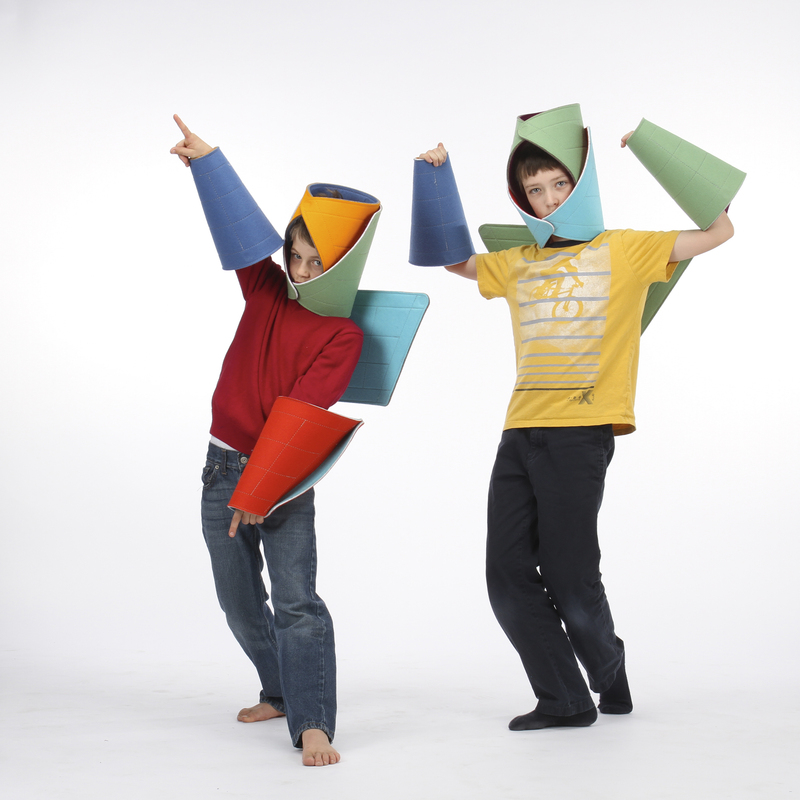 Explore these colourful, large-scale, magnetic, felt tiles that can be manipulated to create three-dimensional shapes, structures, and even clothing. 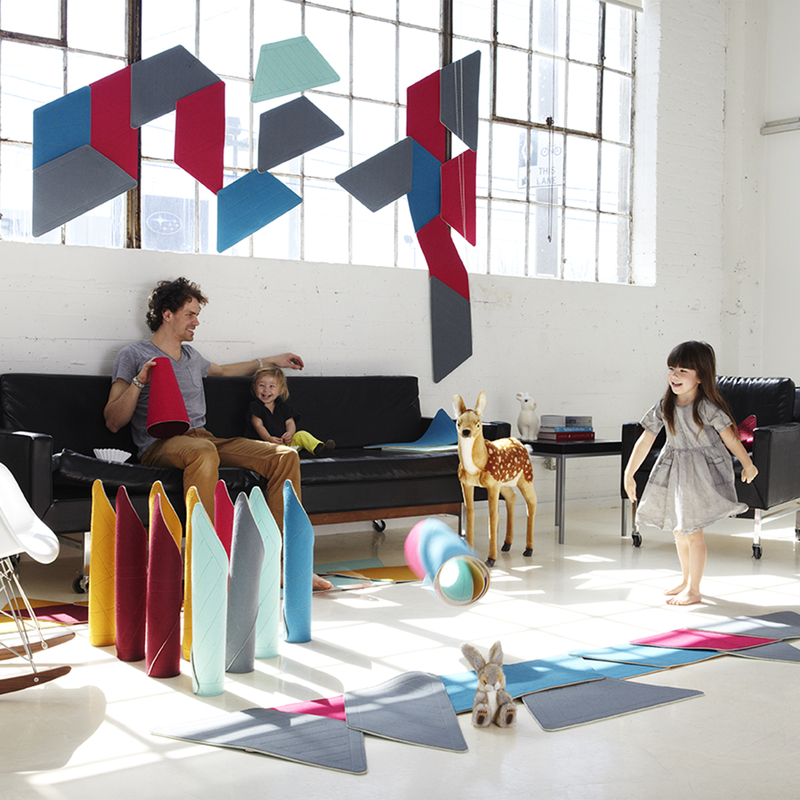 Feltro is an interactive construction toy and adaptable interior design product designed by Sam Kennedy. 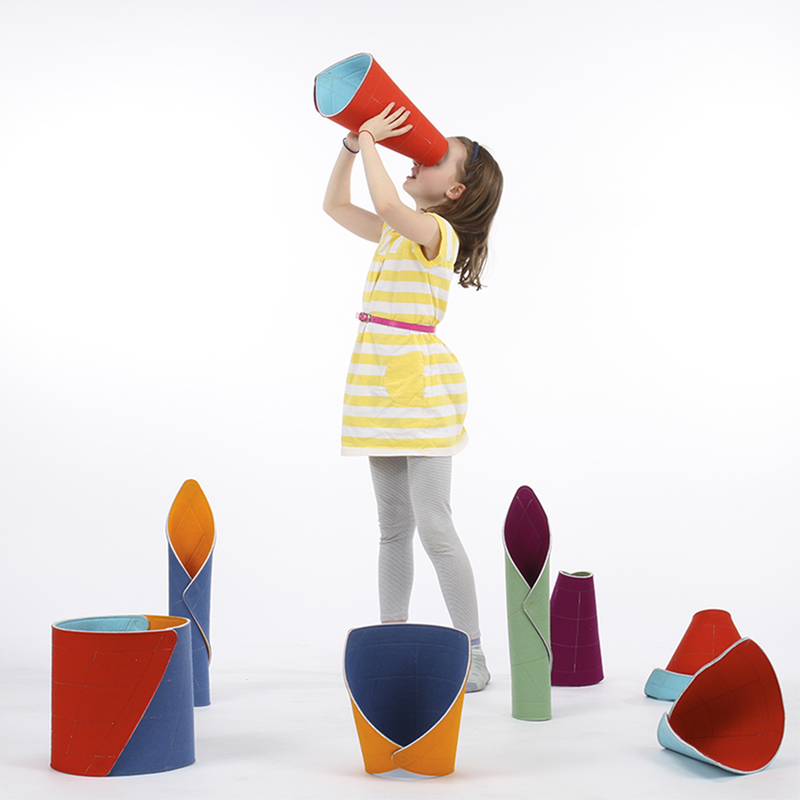 Born out of the observation that parents and children share the play environment, Feltro aims to harmonize open-ended play within the context of a sophisticated design setting. Driven by their versatility and adaptability, these tiles have been endlessly interpreted by families, educators, interior designers, and organizations that strive to create engaging and inspiring environments. Feltro pairs up with gravitypope to bring you an interactive playspace that requires only your imagination. Gravitypope is an independently owned boutique with an extensive array of carefully chosen, beautiful, unique, and handcrafted collections of footwear, clothing, and accessories, gathered from all over the world. Feltro is on display throughout the week at the Queen and Ossington store, with a dedicated hands-on playspace located on the lower level. All ages are welcome. Come play!